My MIL asked me to scrap some photos (40+ photos) 🙂 last month and I just finished doing the whole album a week ago. I’ll be sharing with you some of the LOs I made for her. This actually started off as a 1-page LO… and ended up into a 2-page LO. I made the first one without putting the title and when I finished the 2nd LO and put the two together, I realized that it can be a 2-page LO. 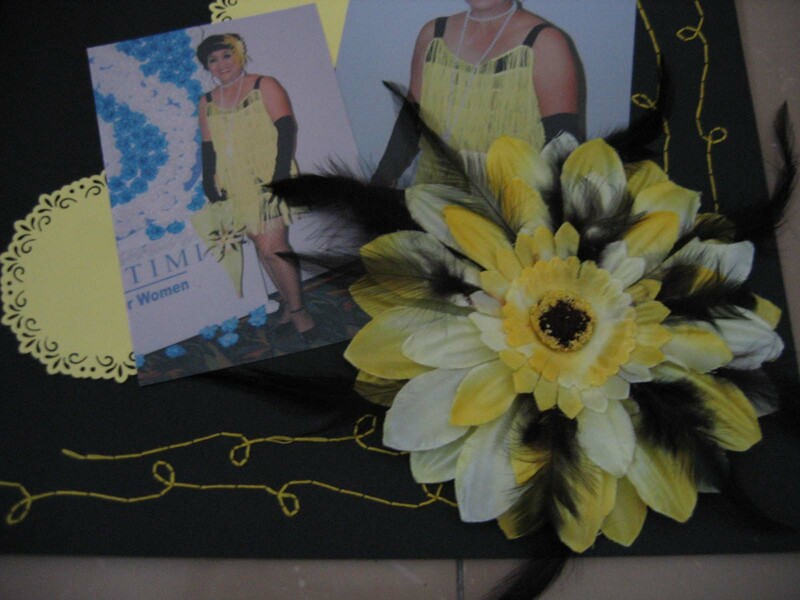 The two big flowers I used to embellish the page were part of her costume. I just added some stitching for borders on the right side. I used the Bazzill Basics Granny Stitches template. 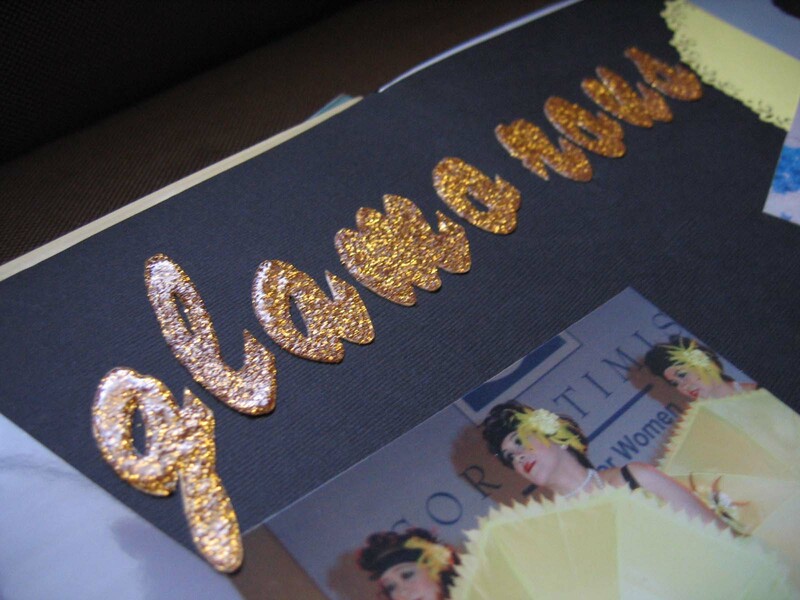 For the title, I just printed the word “glamorous” on a piece of cardstock, and then put a generous amount of diamond glaze, covered it with gold dust then let it dry for a few hours and then I coated it with diamond glaze to lock in the dust and walah my very own glitter fonts. Tomorrow I’ll be posting the LOs I made for their Vietnam trip. Hope you can drop by and take a peak. See yah. 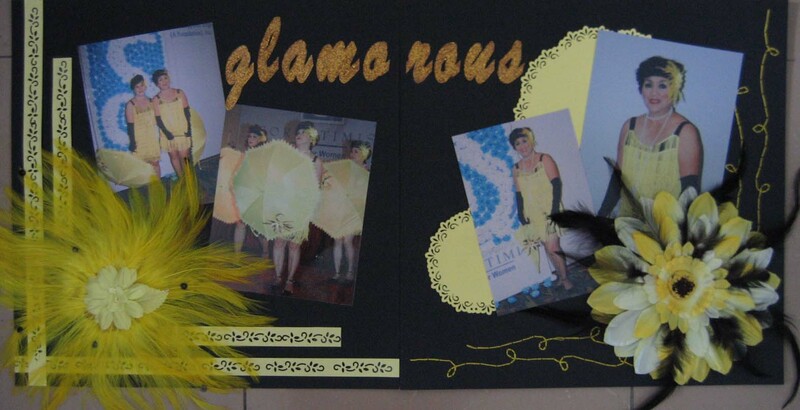 wow really glamorous! 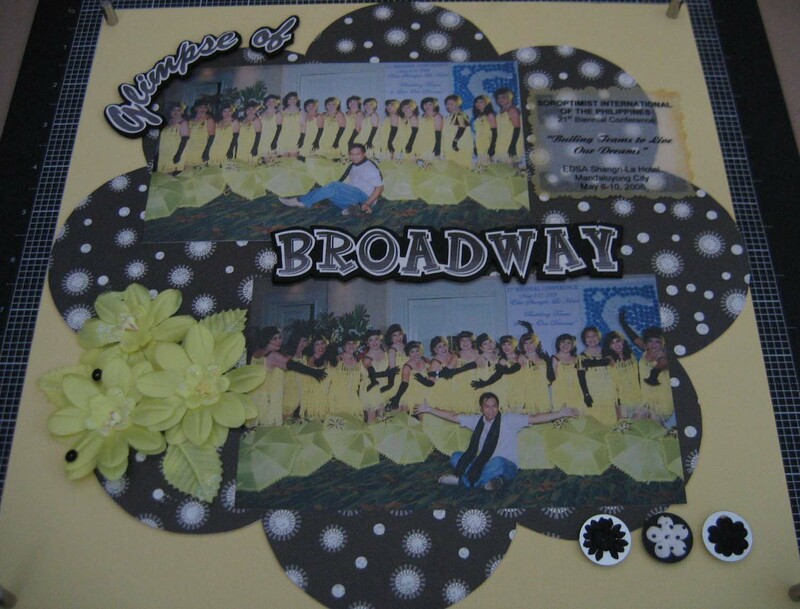 I also like the broadway LO, nice mix of yellow and black, especially the bunch of flowers, gorgeous!